Cayetano Gaming is transporting you to the most vibrant, lively city in the world – you guessed it, Las Vegas. 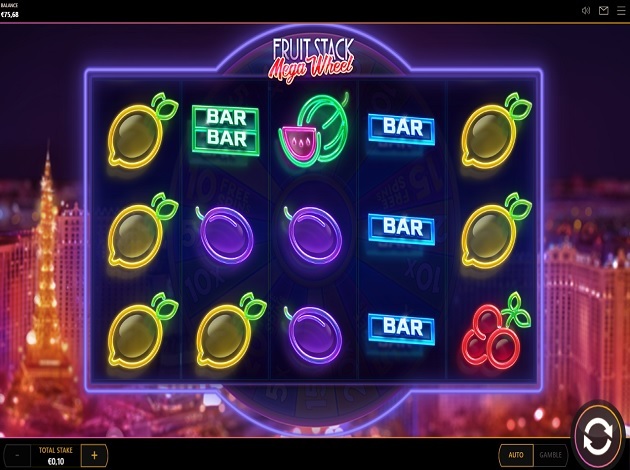 Fruit Stack Mega Wheel is an immersive casino experience set in the heart of Las Vegas at night, with neon lights and a gorgeous view of the Eiffel Tower lit up at night. Fruit Stack Mega Wheel is a casino experience like no other, with an awesome VIP feel to it and striking graphics. What makes Fruit Stack Mega Wheel a thrilling slot to play is undoubtedly the Wheel Bonus game where you can win up to 100 free spins! Lots of multiplier are up for grabs on the colourful wheel and you will also have the opportunity to gamble your wins for the chance to double or quadruple your win in Fruit Stack Mega Wheel. Fruit Stack Mega Wheel is a neon-themed slot with five reels and three rows. There are 10 active paylines and the volatility level is on the lower side. The RTP rate for Fruit Stack Mega Wheel is 94.65%. Fruit Stack Mega Wheel can be played with bets as little as € 0.1 per spin. The maximum bet possible is € 100 per spin. On the reels, you’ll see neon versions of the classic fruit symbols: watermelons, plums, oranges, lemons, red cherries. 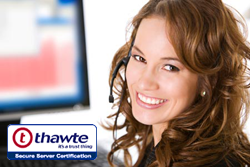 There is also the familiar BAR symbol which appears as a single, double, or triple BAR. The two very important symbols are the Bonus wheel symbol and the diamond wild. The wild substitutes all the symbols on the reels, except for the bonus symbol. Whenever you get a winning combination during the base game, you have the option to gamble your winnings in the card gamble. If you guess the colour of the playing card correctly, you double your win. If you guess the suit correctly, you quadruple your win! If your guess is wrong, you lose your winnings and go back to the base game. The main bonus feature in Fruit Stack Mega Wheel is the Wheel Bonus, where you get to spin a colourful wheel of fortune full of different prizes. You need at least three Bonus symbols anywhere on the reels to get to the Wheel Bonus. The wheel sections are made up of different bet multipliers starting from 3x your bet up to 20x your bet. Other sections contain free spins which can be anywhere from 5 free spins up to a massive 100 free spins! You get three spins on the wheel and it’s up to you to choose whether to collect your prize on the first spin or spin again to get a better one. You get three spins on the wheel but one prize, so think carefully! The perk of this wheel of fortune is that there are no empty slices on it, so you’re guaranteed to win a prize. Whilst the volatility level is low, the payouts are considerably high, especially when you take into account that wins occur rather frequently. The wild symbol itself can multiply your bet by 1,000x if you manage to get five symbols on a line. For three wilds, you still get a good prize of 10x your bet. Onto the regular symbols, the triple BAR is the highest paying, earning you between 4x and 90x your stake. The double BAR multiplies your bet by 3.5x to 40x and the single BAR earns you between 3x and 20x your bet. The fruits then offer medium to low value wins. The watermelon has the juiciest payouts, ranging from 2.5x to 10x your bet. The plum is next with prizes going up to 8x your stake and the oranges and lemons paying up to 6x your bet. Finally, the humble cherry is, as expected, the lowest value symbols, worth up to 3x your stake. Fruit Stack Mega Wheel has a really luxurious feel to it with soothing pink, orange, and purple tones giving off a nice 80’s vibe. In the background, you’ll see Las Vegas at night time, with lit-up sky scrapers and the famous Eiffel tower. A soothing soundtrack plays as you bring the neon reels of Fruit Stack Mega Wheel to life, along with the sounds of the reels spinning and coming to a stop. Underneath the reels, you’ll be able to adjust your stake and activate the Autoplay option if you wish to. From the information button at the top, the paytable can be easily found. The Wheel Bonus is the most exciting part of the game, as you’ll be playing outside of the reels with upbeat music heard in the background and fireworks exploding behind the reels when you land on your prize. With payouts going up to 1,000x your bet, frequently-occurring wins, and an attractive, neon look, there is a lot going for Fruit Stack Mega Wheel. The Wheel Bonus is, of course, the highlight of the game and the possibility of winning 100 free spins is extremely exciting. If you’re looking for a slot with low stakes, considerable prizes, and brilliant design combined with fun gameplay, Fruit Stack Mega Wheel has it all for you. Spin the bright reels right here at Videoslots.com!